A treasure trove of insider colour & style secrets and time-saving tips. Subjects include colour analysis, ladies’ style, colour psychology, style personality, hair colour & style, accessories, marketing, communication, mindset, finding clients and business strategy. A continual stream of new ideas and different perspectives on how to work with colour, style and image. The audiobook library contains 34 audiobooks to help you improve the core skills of colour and style, colour psychology and style personality, and how to market and run a successful image business. Written specifically for image consultants and personal stylists, I’m sharing my insider knowledge, hints, tips, suggestions, advice and 35+ years’ experience. To be successful you must learn how to stand out from the crowd and we have a mini-course containing an audio, video, and workbook designed to show you exactly how to do that. Not sure you’ll ever be able to find enough people to pay for your colour & style services or know what to charge? We have a mini-course designed with you in mind. Struggling to find new clients and make money from your colour and style business? We have a mini-course for that too! A fresh new look at colour & style, seasonal and tonal colour analysis, analysing eye and hair colours, marketing, mindset, and the perfect consultation. Latest image consultant training with Kim Bolsover. To help you navigate through the plethora of training options and ‘have fun with colour’ goodies, I’ve sorted them into price bands so you can quickly and easily find what you need. Introducing Step-by-Step masterclasses for image consultants and personal stylists.Take a fresh look at your core colour analysis and personal styling skills and how to improve your business results. 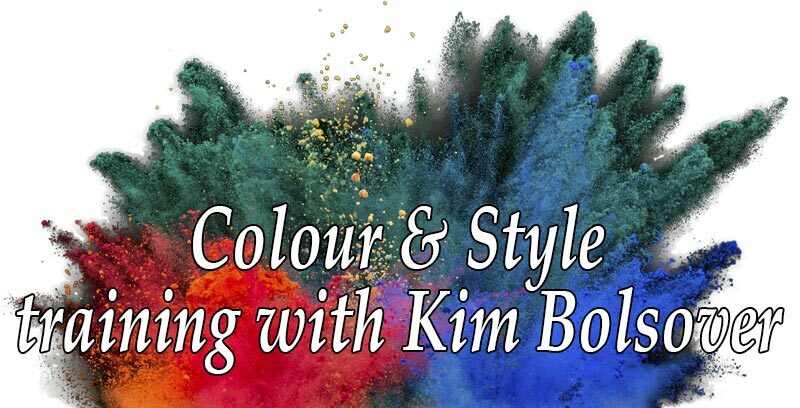 With over 35 years’ experience as a personal colour and style consultant and over 12 years’ experience designing, creating and presenting training courses in all of the core image skills, I’m Kim Bolsover, the creator of The Step-by-Step Academy. Learning the core colour and style skills on their own are about as much use as a chocolate teapot unless you know how to turn what you love into producing an income. So if you’re up for the challenge, then I’m here to help. It’s the perfect place for accessing the information you need to help you succeed as an image consultant or personal stylist. 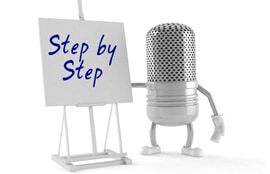 All step-by-step masterclasses include audio content and print-ready workbooks so you don’t have to stare at a screen and get all boggled-eyed. These step-by-step masterclasses contain loads of learning with examples, no-nonsense advice, plenty of encouragement and the occasional rant from me about how to be a successful image consultant working with colour and style. From the tuition, stories and examples, you will learn how to avoid all the mistakes I’ve made and, if you’re prepared to try some of my tried-and-tested suggestions, you’ll learn how to short-cut your way to success. Plus lots of my step-by-step masterclasses include real questions from real consultants about real issues (I save every single one I receive) and you’ll have access to my full and candid responses. I’m well known in the industry for being a rebel and also for being a straight talker – so you have been warned! how to put a VIP program together – this could be your road to success heaven, but it’s only for truly serious business builders! in the Step-by-Step Gold Membership – it’s a bit of a no-brainer – a one-time payment gives you life-time access to all of my masterclasses and all future masterclasses we publish at no extra cost. Every masterclass includes 45+ minutes of audio tuition, extensive notes, a step-by-step workbook, exercises, challenges, and homework to get you taking action. Homework and exercises to do in every step-by-step masterclass too! 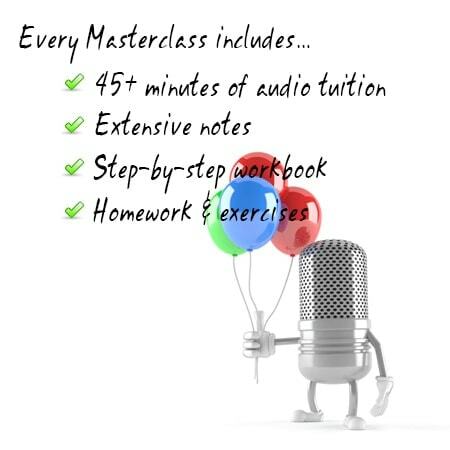 Each step-by-step masterclass contains over 45 minutes of audio tuition, with extensive notes, step-by-step workbook, and yes, I give you homework too! Each masterclass presents a new perspective on the core skills of colour analysis and personal style, how to deliver your personal image services, how to get clients, how to promote your services, business and personal self-development, and my own favourites – colour psychology and style personality. The Step-by-Step Gold Membership gives you lifetime access to all current and future masterclass titles we release and you save several hundred dollars too. Yes, the Gold Membership one-time payment gives you lifetime access to all Step-by-Step titles on this page and all future titles we publish – If that’s not a good deal I don’t know what is! 10: Find your first clients! Click the ‘Buy Now’ button above for instant Gold Membership access or choose individual masterclass titles below. Enjoy! This masterclass is available now for £37. You need to change the way you think if you want to turn your ‘expensive hobby’ into a successful, income-producing business. This masterclass is all about taking a fresh look at how to change your thinking to help you get what you want. We’re going to look at what’s going wrong; why you are getting in your own way; ideas to help you turn that around; and real-life examples to inspire and encourage you. If you’re seeing a colour client only once, you’re short-changing both you and them! Use my strategies and they’ll still be coming back 30 years later! This masterclass is all about taking a fresh look at how to keep your colour clients coming back for more. We’re going to look at why you should bring your colour clients back for more; easy-to-implement successful client retention techniques that I use myself; suggestions for further colour services to offer your clients; and suggestions for how to promote your improved colour services. No customers and no idea how to find them? How to make these crucial concepts interesting, fun and immensely useful for both you and your style client. This masterclass is all about taking a fresh look at scale and proportion. We’re going to look at definitions for scale and proportion and why they’re crucial; suggestions for Dressing up vs. Dressing down; could this offer more value for your clients and prospects? ; and suggestions for content. Insider hints, tips and advice from expert hair professionals to help you analyse hair colour, whether it’s natural, dyed or gone grey. This masterclass is all about taking a fresh look at Hair Colour Analysis and how not to get your knickers in a twist about something that should be so simple! We’re going to look at identifying hair colour; colour communication; how to deal with client hair queries; expert hair colour advice for your clients; and how to read professional hair shade charts. Are there 4, 12, 16 seasons? This masterclass is all about taking a fresh look at how to use your knowledge about the different methods out there to promote and deliver your seasonal and/or tonal colour analysis services. We’re going to look at the myths and realities about the number of theories and methodologies out there; the choices you have; why you need to make a decision about which approach to use; and how you can use this information to promote your business.